There’s no denying the fact that streaming services have changed the music world in a plethora of ways over the past few years. Mainly, it’s had a transformative effect on the way we buy music. It seems like CDs and paid music downloads are a thing of the past. The iPod made it possible for people to carry thousands of songs around in their pockets, and then the firm introduced the iTunes Store in 2003. Suddenly, people could purchase and download the latest albums and singles on their devices. 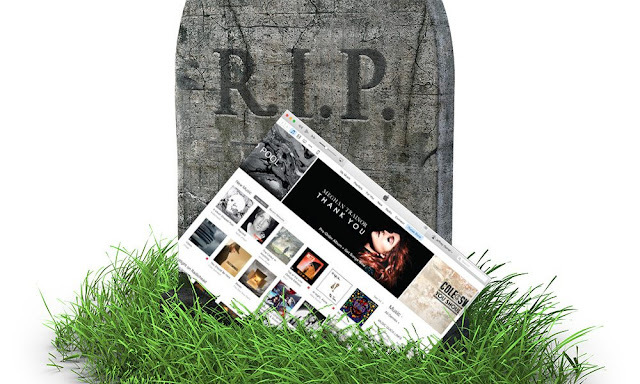 However, the times have changed, and Apple is planning to close down iTunes music downloads. According to the leaked documents, the company will shut down the iconic music service on March 31st, 2019. Industry experts believe that the move will allow the firm to grow its streaming service, Apple Music. Speaking to Digital Music News, sources said Apple will provide users and the music community with “ample warning” about the plans. That said, media previously downloaded from the iTunes store will continue to work on Apple devices. You just won’t be able to purchase new songs from the store. And last month, a company email – called “The End of iTunes LPs” – found its way into British newspaper The Metro. Penned by the Apple Music team, it explained that the firm will no longer be accepting new iTunes LPs. The news also comes as a new report from Variety claims that Apple Music has officially surpassed the 40 million paid subscriber mark.